Sweden’s ICEHOTEL is one of those travel destinations you have to venture out to in order to properly appreciate. The frozen lodge contains intricate rooms, carved from solid ice and nothing but heavy fur blankets to keep guests warm 120 miles north of the Arctic Circle in the village of Jukkasjärvi. Unfortunately for most travellers though, the hotel also melts every spring, leaving them with a small window to make the long trip. 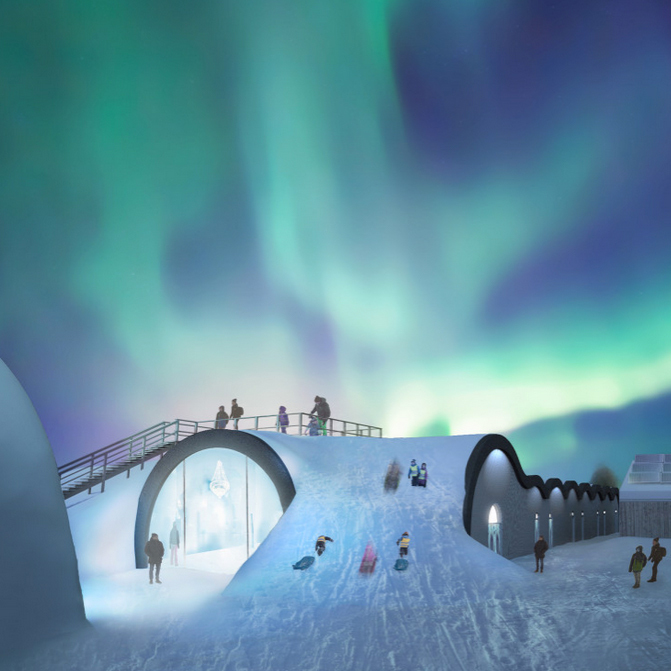 But the proprietors of the ICEHOTEL realized that not everyone wants to go somewhere with no daylight in the middle of the winter, so they partnered with Swedish solar power company Solkompaniet to open a year-round version of the unique hotel. In addition to frozen rooms in the winter months, “ice suites chilled by sunlight” are planned for the summer. The year-round version of the hotel will offer 20 rooms, a full bar and a gallery. The new permanent building plans to open in December 2016—plenty of time to get a full season of cold and darkness before the midnight sun takes over. But they’ve already released images of the addition that you can check out below. This year’s temporary hotel will open on December 11 with a new slate of rooms. If you’re into freezing in the arctic you should make your reservations now though. They fill up fast in Jukkasjärvi.